If you're looking for a car that dominates the road, the new Suzuki Ignis is sure to do the job. Big on personality and favourable on design, this range includes the SZ3, SZ-T, and SZ5 models. If you're looking for a 4x4 that will make your next family road trip more relaxed, the new Suzuki Ignis range will do just that. The new Suzuki Ignis, the city car with the spirit of a 4x4 is available now from Motorparks Suzuki and Invicta Motors Maidstone Suzuki. Its 89bhp naturally aspirated 1.2-litre four-cylinder petrol unit will allow you to drive long distances without needing to stop for fuel along the way. Similar results can be seen with the hybrid version, which is only available on the SZ5, which you may be familiar with from the Baleno model which offers better fuel economy and produces lower CO2 emissions. Its style is just as powerful as its engine, so you're bound to be impressed. 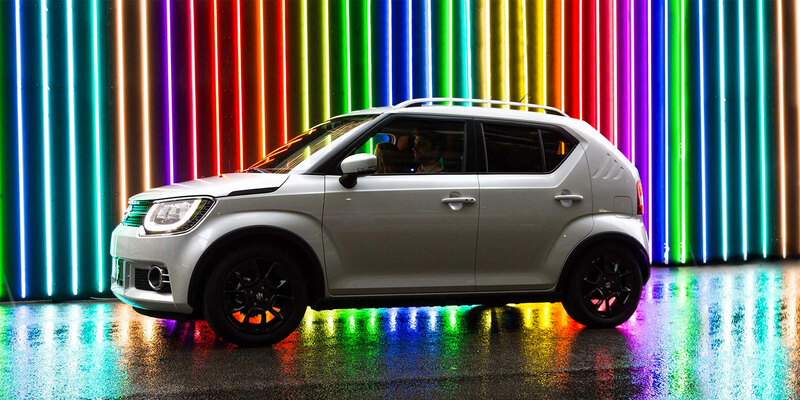 The new Suzuki Ignis has been designed with the modern driver in mind, offering a premium exterior finish, interior design and all of the technology you need. The exterior design of the new Suzuki Ignis offers a bulk build that screams power to every driver. The SZ3 model has 15” steel wheels, front electric windows and privacy glass which is a Suzuki Ingnis standard. However, upgrade to the SZ-T and you'll benefit from 16” alloy wheels, wheel arch extensions and roof rails. Get all of this and more with the SZ5 - think LED headlights and daytime running lights as well as front fog lamps. The interior design is equally astonishing and offers a premium look for buyers. With great adjustability behind the wheel and plenty of leg room for drivers and passengers alike, this SUV-like motor will be a breath of fresh air. For when it's time to quench your thirst, you'll be happy to know that the new Suzuki Ignis includes cup holders as well as storage pockets and a luggage area cover. If you're looking for a car that is all about technology, then look no further. The Ignis includes dual camera brake support which is one perk that every modern driver should be looking for. Start preparing your car playlist because this model has a USB connector and a Bluetooth integrated audio unit. If you prefer the radio, don't worry as you'll have a DAB digital radio to contend with. As well as this, there are two front and rear speakers, so you truly get that surround-sound experience! Showing off your personality on the road is essential. Luckily for you, this model includes six core tones including Fervent Red, Pure White Pearl, Super Black, New Blue Metallic, Flame Orange Pearl Metallic, and Speedy Blue Metallic. If you can't decide on one colour, why not choose two? There are five dual-tones available! Find out more about the Suzuki Ingnis by visiting us at our Invicta Maidstone Suzuki dealership - part of the Motorparks family or enquire online today.